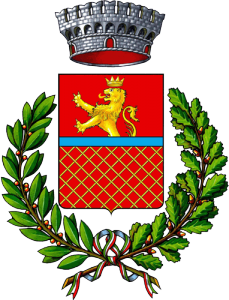 The township of Orgiano is located about 40 km south of Vicenza. It has about 3,200 inhabitants. Fractions or frazioni are: Pilastro, Spessa. Località: Teonghio. 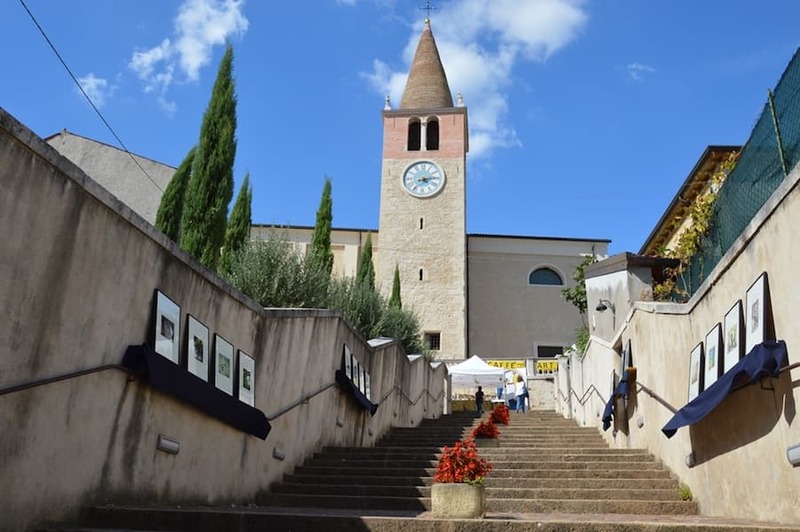 Orgiano arises on the Berici Hills and offers a unique environment: wonderful views, culture, history and architectural buildings. The presence of the man on the land for more than a thousand years has been confirmed by archaeological finds dating back to prehistory. The area was first populated between the Bronze and the Iron Age by Veneto people, who had to accept and “alliance” with Rome after it had expanded into the northern part of the peninsula. Only some information remains from the Medieval Era about the wars between Padua and Vicenza for the ownership of Orgiano Castle. In 1404 the Vicenza territory, together with the Verona’s and Padua’s one, became part of the Serenissima Republic of Venice and Orgiano became the seat of the “Vicarius”, the representative of the Civil Authority. In 1704 a very important contract was stipulated with the Serenissima Republic of Venice: 114 fields were sold to “Al Comun et homini tutti d’Orgian” (the Municipalty and all men of Orgiano). The land, which coasts the Liona and called Palù, is still municipal property. Paolo Orgiano was a young nobleman from Vicenza who lived in Orgiano between the end of the 16th Century and the beginning of the 17th. He lived most of his life in luxury, surrounded by a group of scoundrels, who often helped him in acts of violence. An example is the lovely countrywoman Fiore Bertola, who was kidnapped but managed to marry just the same. Important and extended research carried out suggests that this story was the inspiration for “I promessi sposi” by Manzoni. 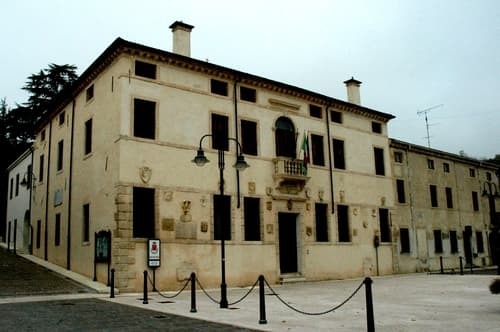 The Palazzo dei Vicari is a work of the noble Fracanzan family built in 1592. 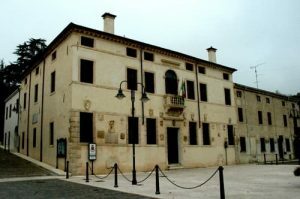 The Palazzo was once the seat of the “Vicarius” and now it is used as the town hall. 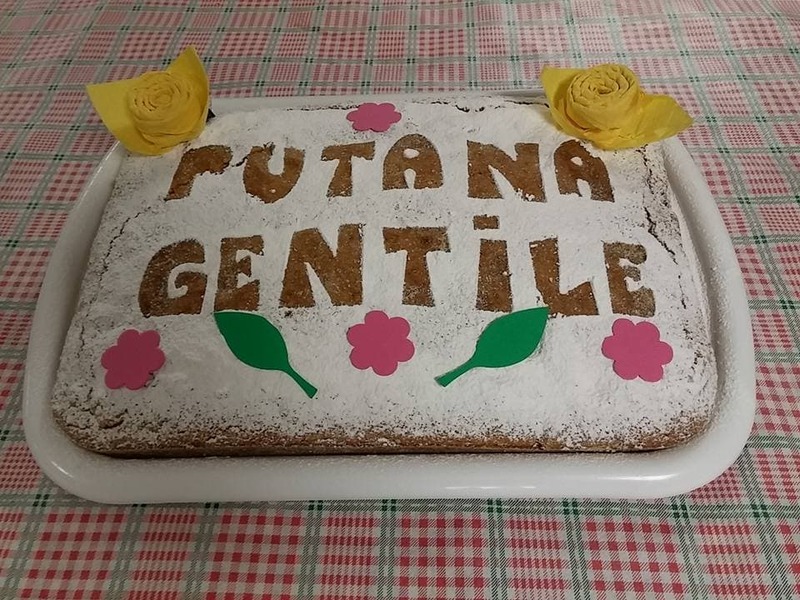 On 3rd March 1897 a particular episode happened: 32 women from Orgiano set the fire to the municipal goods during a protest against the municipal administration. 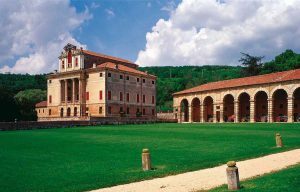 Villa Fracanzan Piovene was built in 1710 and was designed by Francesco Muttoni (1667 – 1747), a great Palladian architect, under the commission of Giovanni Battista Fracanzan. Today the villa is under the property of the Countess Francesca Piovene Giusti. The main symbol of the villa is the monumental kitchen sink of red marble from Verona with lots of copperwares. The referendum room with original prints and documents from 1866 and a very high-ceilinged ballroom that opens onto the Italian garden are all worth seeing. Villa Grazia Bevilacqua-Grazia was built at the end of the XVII Century. It is located at the borderline to province of Verona. It was built by the family Grazia, then Bevilacqua Grazia. Nowadays it is a property of the family Strobe. The unknown architect uses the rustication, according to the Veronese tradition, from which the picturesque railings come. The villa is composed by a central part, a colonnade and an oratory. Inside you can admire the neoclassic decorations, like the rooms and the showy stairs. The chapel, whose architect is unknown, was built in 1697. The showy stairs and the frescos (painted in the XVIII Century) are wonderful. 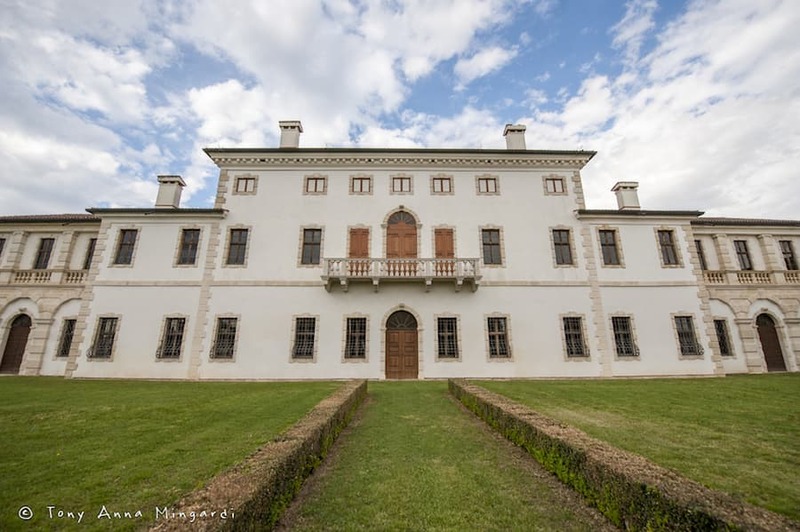 Recently the historian Prof. Maria Grazia Bulla Borga has led a research about the villa. From this work the actual name of the Villa and an interesting book emerge: “Villa Grazia, Bevilacqua Grazia in Spessa di Orgiano. Storia di committenti e arte” (EN: “Villa Grazia, Bevilacqua Grazia in Spessa di Orgiano. History about purchasers and art”). The villa is usually closed to the people, but can be visited on the occasion of cultural events. Positioned on the hill, the church dedicated to Santa Maria Assunta dominates the whole town. It can be reached using the beautiful stairway that was built in 1860. Traditional dishes have always used local products which are skilfully prepared and cooked by expert hands, becoming succulent and delicious meals on our tables. Some local dishes stand out: “polenta e musso” (polenta with donkey), “polenta e baccalà” (polenta with cod) and “bisi” (peas) which, combined with the rice (“risi e bisi”) and pasta (“lasagne coi bisi”) become excellent starters. Typical, genuine products can be added, such as different types of bread and cakes. The hills and the plain offer “bruschi” (butcher’s broom), wild asparagus, “tanoni” (young black bryony shoots) and “visoni” (vitalba), hill mushrooms and “tarassaco” (dandelion). Prestigious DOC wines such as Prosecco, Spumante (sparkling wine), Passito (straw wine), and classic wines are produced by the vineyards in the area. 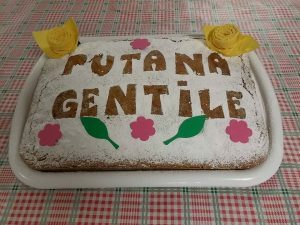 Recenty, the Association Pro Loco has stood out for a traditional cake, called “Putana gentile” (gentle wh*re), which is a cake made of figs and raisins in a pastry of corn flour.